Frances Hodgson Burnett was famous in her time for her adult novels and her forays into children's literature with Little Lord Fauntleroy and A Little Princess. The Secret Garden, her story of an orphan girl who moves from India to the British countryside, has become a favorite book of every generation thereafter. Gretchen Holbrook Gerzina, the author of the definitive biography of Burnett, brings out aspects of Burnett's life that led her to write the book, details of the Victorian England time period, attitudes toward children, and Burnett's spiritual leanings. Gerzina captures the magical nature of the tale and the coming together of three children through restoring a hidden garden. 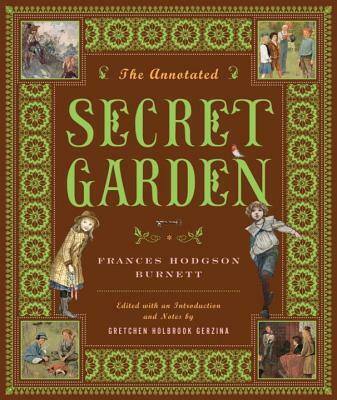 With over one hundred illustrations, many in vibrant color, The Annotated Secret Garden is an enchanting gift for any child or for any adult who is still a feisty child underneath.